While physicians are routinely being asked to manage the utilization of expensive resources, traditional medical training offers few opportunities to learn how to deliver the highest quality care at the lowest possible cost. To help bridge this gap, Costs of Care, a nonprofit organization devoted to empowering patients and caregivers to lower their medical bills, partnered with the ABIM Foundation to create the Teaching Value and Choosing Wisely Challenge. First launched in 2013, the Challenge seeks to identify the most promising innovations and bright ideas for advancing high-value care in medical education that could be successfully implemented on a larger scale. Last year more than 70 entries were submitted and six winners announced. 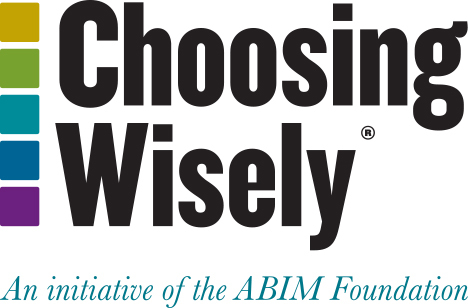 The Teaching Value and Choosing Wisely Challenge builds on the ABIM Foundation’s Choosing Wisely® campaign. While the campaign is helping change the way many physicians practice, it is important that the goals of Choosing Wisely be imparted to the next generation of doctors. In conjunction with the Challenge, the ABIM Foundation will host a learning network open to all Challenge participants and those interested in advancing high-value care initiatives. The network will convene clinicians across the country who are committed to improving health care delivery and feature monthly spotlights on leadership strategies in medical education. For more information on joining the learning network, contact Alison Brecher at abrecher@abim.org.